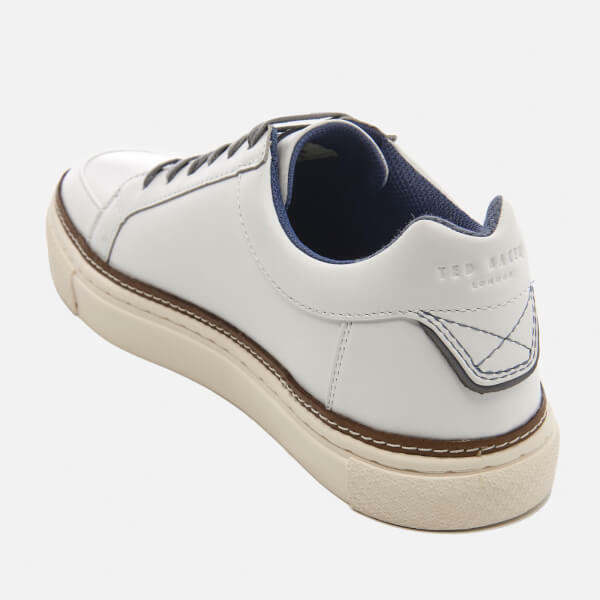 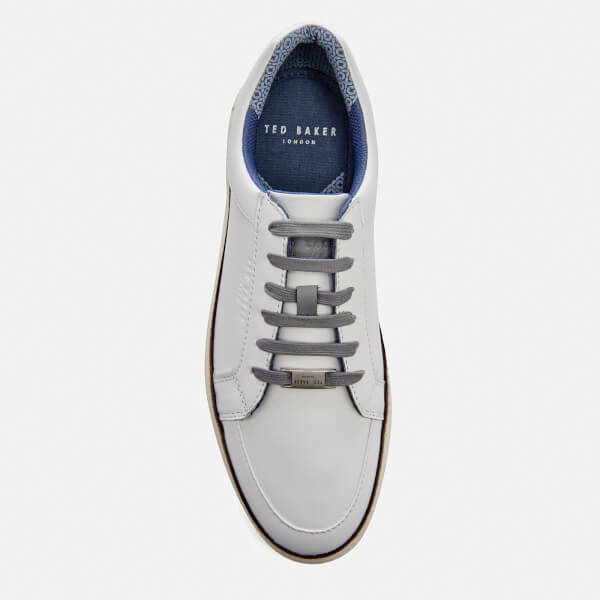 Men's low top leather trainers from Ted Baker. 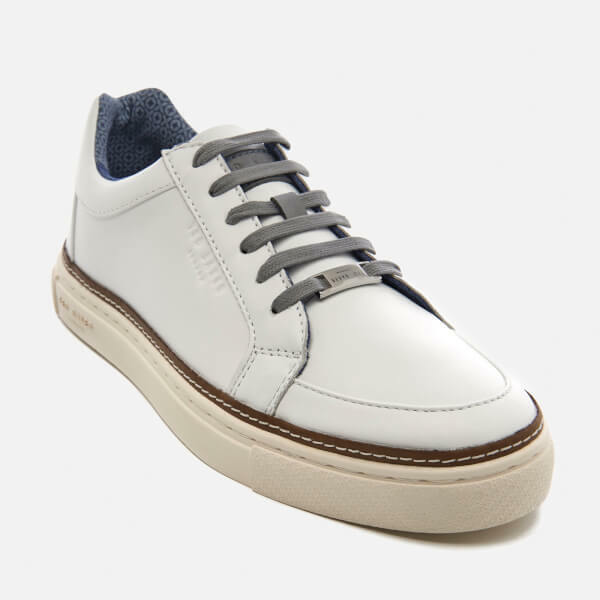 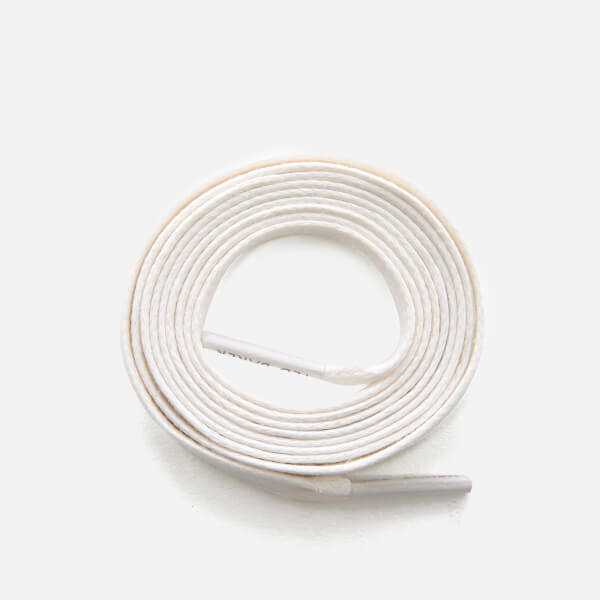 Crafted with leather uppers, the 'Rouu' sneakers feature a rounded toe, lace up fastening with contrast coloured laces and a padded collar for comfort. 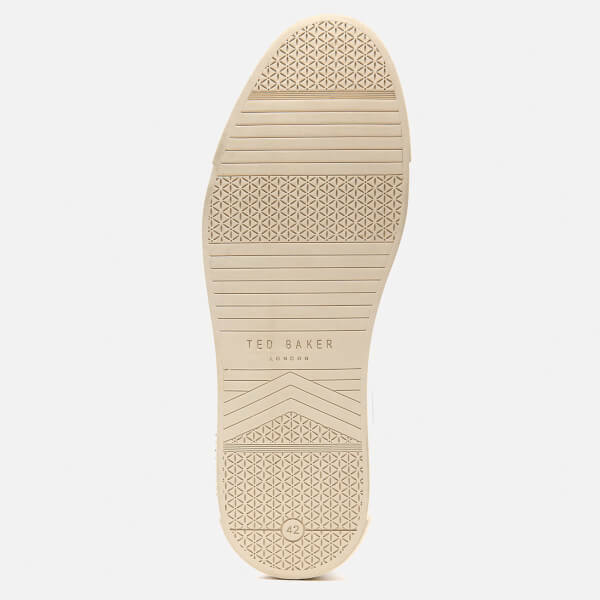 Lined in a geometric print, the trainers are complete with a contrast rubber outsole and full leather rand.